Have you ever been inspired to do something creative or fantastic? Maybe, the idea is very complicated. Maybe, it will cost money to do your idea and make it into reality. Maybe, you’re scared it won’t be as great once you actually do it. But most of the time, if you stick with it, you’ll feel good about it. Wes Anderson has many creative ideas. He has written movies about foxes, wild adventures in different countries, and most recently, a boy and his lost pet. In the Isle of Dogs, there is an evil mayor who sends all of the dogs in the city to an island because he hates them. A boy flies an airplane to the island full of dogs and waste, and the rest of the movie is about how he will find his adorable dog named Spots. The film is stop animation, which is very difficult to do. Although Wes Anderson was scared by all of the work, he decided to stick with his story. 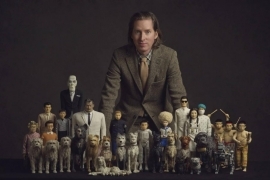 The movie is now a hit, and audiences are in love with the little boy and all of the dogs Wes Anderson created. Is there something you want to stick with? 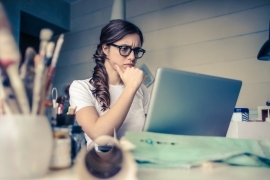 Have you ever found it difficult to stick with something?